A unique account of one man's World War II journey through hell and back again. 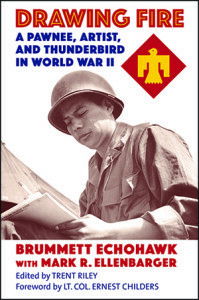 Sergeant Brummett Echohawk entered combat during the invasion of Sicily as a Sapper Team leader. Not long after landing, Echohawk found drawing supplies in a house that had been destroyed by Allied shelling. “After that, I drew every day,” Echohawk said. 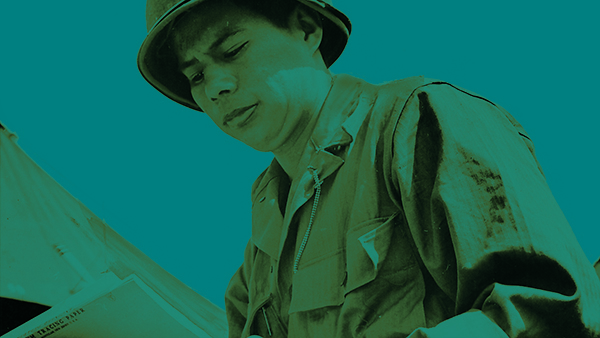 He protected the drawings in a 60 mm shell casing and his sketches were published in the Army’s Yank magazine, as well as syndicated in 88 newspapers. Sergeant Echohawk’s combat sketches capture acts of bravery and moments of terror as he and his fellow soldiers fight their way through key battles across Sicily, Salerno, and Anzio. Woven with Pawnee legend and language and quickened with wry Native wit, Drawing Fire conveys in a singular way what it was like to go to war alongside a band of Indian brothers. It stands as a sharply observed tribute to those soldiers Echohawk fought with, and those friends he lost in battle. This important book captures for all time the enduring spirit and steadfast strength of the Native American warrior. — Flint Whitlock, author of Rock of Anzio, and editor of WWII Quarterly magazine. Order with promo code ECHO30 for a 30% discount!